To ensure a better game experience, we are performing an update from July 4th 2:00 to July 4th 5:00 EST. 1. New SR Kisei is coming! "I was the best in the world, never beaten by anyone. Though the only time I lost was to her." After the update on July 4th, Kisei can be summoned with Mystery Amulets, AR Amulets or Jade. And you can also collect shards of Kisei from events such as Wanted Quests and Demon Parade. 2. New Secret Zone arrives! 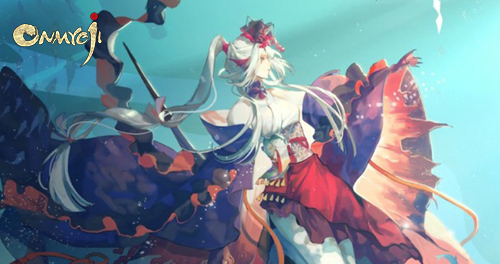 After the update on July 4th, a new Secret Zone "Summer Poem" is coming to Onmyoji! During the battle, Kamaitachi may put on markers that have devastating effects. Onmyoji, please be careful of the cunning Kamaitachi! And the Secret Zone Rewards include Kamaitachi’s Skin "Summer Sceneries”, Mystery Amulet, Grade Daruma, Skill Daruma, and more! 3. Shopkeeper's benefit for you! During July 5th 00:01 AM until July 7th 11:59 PM EST, players have a maximum of 3 chances to draw a discount voucher. The discount voucher with the biggest discount drawn for that day will be given to you. Remember to log in or you'll miss out on this great opportunity! 4. Summer Nights Courtyard Skin Event! During the event, complete the puzzle to unlock the Courtyard's skin - Summer Nights. Seize the chance to get the wonderful courtyard skin! New skin of Hana: Lotus Pond and Tanuki: Summer Wine Fest will be available at the skin store after the update. This skin will be 20% off for the first week only! 6. Summer Packs on Sale! Exchange Amulet can be used in "Promote" -> "Exchange"
2. Added Loading Pictures of summer days. 3. Changed the Login Interface. 4. Optimized the Pet system. The Debuff and Skill Balance Update comes! After the update on July 4th, debuff and skill of some shikigami will be modified due to the game balance as below. Grade I Poison: Reduces target's SPD by 10% and ignores 10 of target's DEF when resolving indirect damage. If a target is inflicted with 3 layers of Grade 4 Poison and a layer of Grade 2 Poison, the SPD of the target will be reduced by 10, and its DEF will be ignored by 3×40+1×20=140 when indirect damage is resolved. If the target's DEF is below 140, its DEF will be treated as 0 when resolving indirect damage. Random Element: Ryomen randomly uses Raijin or Fujin to strike an enemy target, dealing damage equal to 100% of his ATK if Raijin strikes or dealing damage equal to 25% of his ATK if Fujin strikes, and inflicts a Wind Fury mark on the target for 1 turn, dealing indirect damage equal to 125% of his ATK after target takes its turn. Lv. 5: All damage from the skill increases by 10%. Eyes of Wrath: When Raijin attacks, the enemy's DEF is decreased by 10%. When Fujin attacks, the enemy's ATK is decreased by 10%. Lv. 2: The skill now decreases DEF and ATK by 12%. Lv. 3: The skill now decreases DEF and ATK by 14%. Lv. 4: The skill now decreases DEF and ATK by 16%. Lv. 5: Raijin lowers the Move Bar of all enemies with ATK lower than his by 8% when he deals damage. Fujin raises Ryomen's Move Bar by 8% when he deals indirect damage to enemies with DEF lower than his. Divine Combo: Ryomen jumps into the enemy lineup to attack all enemies 3 times with Raijin or Fujin at random, dealing damage equal to 44% of his ATK if Raijin attacks or dealing damage equal to 11% of his ATK if Fujin attacks and inflicts a Wind Fury mark on the targets for 1 turn, dealing indirect damage equal to 55% of his ATK after they take their turns. Soul Hunt: Summons 1 ghost with HP equal to 10% of Shiro Mujou's HP where an enemy was KO'd. The ghost will deal indirect damage to all enemies equal to 50% of Shiro Mujou's ATK after 1 turn and disappear. The target cannot be revived while the ghost is present. Whenever an enemy is KO'd, the Move Bar of Shiro Mujou is immediately raised by 50%. Lv. 2: Ghost's HP increases to 15% of Shiro Mujou's HP. Indirect explosion damage increases to 60% of Shiro Mujou's ATK. Lv.3: Ghost's HP increases to 20% of Shiro Mujou's HP. Indirect explosion damage increases to 70% of Shiro Mujou's ATK. Lv. 4: Ghost's HP increases to 25% of Shiro Mujou's HP. Indirect explosion damage increases to 80% of Shiro Mujou's ATK. Lv. 5: Ghost's HP increases to 30% of Shiro Mujou's HP. Indirect explosion damage increases to 90% of Shiro Mujou's ATK. Hands of Hell: Shiro Mujou summons cursed hands from hell to attack all enemies 3 times consecutively, dealing damage equal to 32% of his ATK on each hit. Also inflicts a Commanding Banner mark on the targets for 1 turn, dealing indirect damage equal to 132% of his ATK after they take their turns. Lv. 2: Indirect damage increases by 5%. Lv. 3: Indirect damage increases by 5%. Lv. 4: Indirect damage increases by 5%. Lv. 5: Indirect damage lasts an extra turn. Skill effect after evolution: Each hit has an 80% (+ Effect HIT) chance of inflicting a layer of Poison III (reduces target's SPD by 10% and ignores 30 of target's DEF when resolving indirect damage) on the targets for 1 turn. Serpent Lash: Kiyohime whips 1 enemy, dealing damage equal to 86% of her ATK with a 100% (+ Effect HIT) chance of inflicting a layer of Poison III (reduces target's SPD by 10% and ignores 30 of target's DEF when resolving indirect damage) on the target for 5 turns. Also inflicts a Viper mark on the target for 1 turn, dealing indirect damage equal to 22% of her ATK after the target takes its turn. Lv. 2: Skill damage increases by 5%. Lv. 3: Skill damage increases by 5%. Lv. 4: Skill damage increases by 5%. Lv. 5: Skill damage increases by 5%. Lv. 6: Viper marks deal an extra 50% indirect damage. Venom Frenzy: When Kiyohime inflicts Poison on a target, she also reduces the target's DEF by 1% (to a max of 12% for a single target) indefinitely. Skill effect after evolution: When Kiyohime inflicts Poison on a target, she also reduces the target's DEF by 2% (to a max of 24% for a single target) indefinitely. This skill cannot be leveled up. Sacrificial Fire: Kiyohime breathes fire at all enemies 3 times, dealing damage equal to 36% of her ATK on each hit with a 60% (+ Effect HIT) chance of inflicting a layer of Poison II (reduces target's SPD by 10% and ignores 20 of target's DEF when resolving indirect damage) on her targets for 5 turns. Also inflicts a Viper mark on her targets for 1 turn, dealing indirect damage equal to 66% of her ATK after they take their turns. Lv. 5: Viper marks deal an extra 50% indirect damage. Chin's Feathers: Chin swiftly shoots a feather at an enemy, dealing damage equal to 80% of her ATK and inflicting 2 layers of Poisonous Feathers on them. Has a 100% (+ Effect HIT) chance of inflicting a layer of Poison (grade equal to the current Poisonous Feathers layers; reduces target's SPD by 10% and ignores target's DEF when resolving indirect damage by 10 x Poison grade) on them for 2 turns. Poisonous Beauty: Swiftly shoots a flurry of feathers at all enemies, dealing damage equal to 33% of her ATK and inflicting 2 layers of Poisonous Feathers on them. Has a 100% (+ Effect HIT) chance of inflicting a layer of Poison (grade equal to the current Poisonous Feathers layers; reduces target's SPD by 10% and ignores target's DEF when resolving indirect damage by 10 x Poison grade) on them for 2 turns. The enemy takes indirect damage at the beginning of its turn equal to 2% of its max HP for each layer of Poisonous Feathers it has to a maximum of 40% of Chin's ATK. Poisonous Feathers stack up to 3 layers and are reduced by 1 layer when the target takes poison damage. Spider Symbol: Jorogumo has a 40% (+ Effect HIT) chance of inflicting a Spider mark on an enemy for 2 turns when she deals damage. Any enemy with a Spider mark takes indirect damage equal to 100% of Jorogumo's ATK when using any orb. This skill cannot be leveled up. Arachnid Horde: Jorogumo summons a horde of spiders to deal damage to all enemies equal to 72% of her ATK with a 20% (+ Effect HIT) (+1% for each 5 SPD difference for targets that are slower than Jorogumo) chance of inflicting Daze on the targets. Lv. 5: Inflicts a Spider Toxin mark on Undazed targets for 1 turn, dealing indirect damage equal to 136% of her ATK (+1% indirect damage for each 1 SPD difference for targets that are faster than Jorogumo) after they take their turns. Sakura Blizzard: Sakura makes cherry blossoms fall from above to attack all enemies, dispelling all buffs with a 50% (+ Effect HIT) chance of decreasing the healing effect the targets receive by 30% for 2 turns. Also inflicts a Cherry Blossom mark on the targets for 1 turn, dealing indirect damage equal to 76% of her ATK after they take their turns. Has a 25% chance of inflicting Sleep on the targets for 1 turn when dispelling their buffs. Lv. 2: Heal Down effect enhancement: Decreases healing effects received by 40%. Blossom marks deal extra indirect damage to targets without any buff equal to 8% of Sakura's max HP (The damage does not receive ATK bonus from Judge Banner in Duel). Decreases healing effects received by 50%. Lv. 5: Heal Down effect now cannot be dispelled. Aobozu anoints Buddha's Blessing (at least 1 layer and max at 6 layers) on his allies. Whenever an ally is inflicted with Taunt, Freeze, Silence, Daze, Sleep, Morph, or Confuse, a layer of Buddha's Blessing is added as well. When Aobozu ends his turn, a layer of Buddha's Blessing disappears. Each layer of Buddha's Blessing increases his and his allies' Effect RES by 30% and 15%, respectively. Peaceful Heart: Aobozu uses a soul spell to attack all enemies, dealing damage equal to 185% of his ATK. Constrained by Buddha's Blessing, Aobozu's attack this time deals 10% less damage for each layer of Buddha's Blessing he has. No changes have been made to the skill effects after evolution. It continues to deal double damage to summoned entities. Healing Light (after evolution): Kusa restores the HP of all allies by 87% of her ATK and grants a Healing Dandelion mark on them for 2 turns, restoring their HP by 22% of her ATK on each of their turns. The first indirect damage dealt to allies with the Healing Dandelion mark is converted to an equal amount of HP healed. Koi forms bubbles into an energy shield to protect all allies. The bubble shield absorbs damage equivalent to 12% of Koi's maximum HP. Lasts 2 turns. Lv. 2: Shield absorbs an extra 16% damage. Lv. 3: Shield absorbs an extra 16% damage. Lv. 4: Shield absorbs an extra 16% damage. Lv. 5: Protected allies take 50% less indirect damage. Karma: Counter-attack damage is now increased to 136% from 120% of her ATK. Zen: Juzu meditates for 2 turns. While she meditates, each of her allies has a chance (40% +Juzu's orb count x 10%) of 1 debuff being dispelled at the beginning of their turn. Each dispelled debuff restores their HP by 3% ofJuzu's max HP; also their Move Bar is raised by 30% at the end of their turns. Consumes 1 orb after the effect is triggered. Under meditation, Juzu gains 1 orb immediately when all her orbs are consumed. Lv. 2: Increases the HP restoration effect to 4% ofJuzu's max HP. Lv. 3: Increases the dispelled debuffs to 2. Lv. 4: Increases the HP restoration effect to 5% ofJuzu's max HP. Lv. 5: Increases the dispelled debuffs to 3. Bamboo Shelter: Kanko hides in his bamboo pipe, taking shelter from attacks and recharging his power, raising his Move Bar by 30%. The pipe inherits 20% of Kanko's max HP and 200% of his DEF. If the pipe is destroyed, Daze is inflicted upon Kanko for 1 turn. Kanko can hide in his pipe for consecutive turns but the pipe's HP does not refresh. Each additional turn Kanko hides in his bamboo pipe increase his next damage by 75% up to a maximum of 300%. Lv. 2: Increases bamboo pipe's HP to 25% of Kanko's max HP. Lv. 3: Increases bamboo pipe's HP to 30% of Kanko's max HP. Lv. 4: IncreasesEffect RES by 100% when in the pipe. Ichimokuren's Wind Amulet: Protect no longer triggers Kanko's Bamboo Shelter's effect. Bamboo Blast: Kanko channels magic into his bamboo pipe and shoots lightning at 1 enemy, dealing damage equal to 221% of his ATK with a 50% chance of removing 1 orb from his opponent. Chance increases to 100% when launching a critical hit. ※ When one of your units is already under the controlling effect of a debuff, if a new debuff of the same kind is inflicted on it, Flying Bird no longer triggers to negate the controlling effect. ※ If one of your units is inflicted by multiple kinds of controlling effects from one attack, Flying Bird's chance of negating controlling effects triggers for each kind.